Property taxes pay for public schools, but how much money is directed to Tahoma School District and how is it being used? 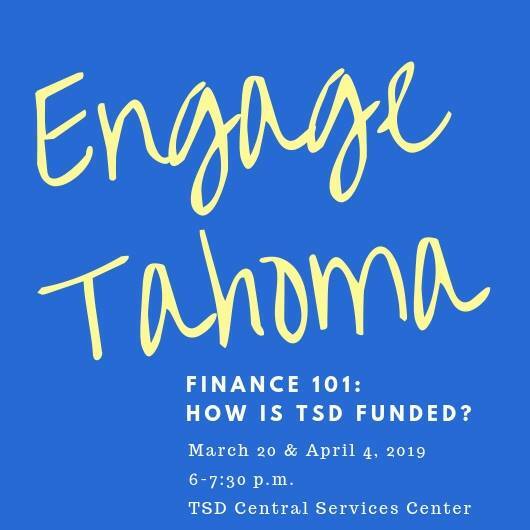 The community is invited to learn more about school finance on March 20 and April 4 in the debut of a community outreach program called Engage Tahoma. The format for Engage Tahoma is to focus on one topic in two 90-minute evening meetings. The first meeting will provide background information about the topic. The second meeting is focused on conversation among attendees and district staff and School Board directors about the topic. Participants are asked to commit to attending both meetings of either session by signing up HERE.